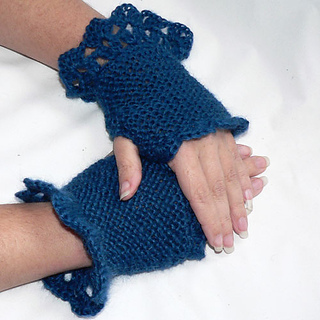 For a more elegant look, choose a mohair yarn or other yarn with a halo in a solid colour, as pictured in the blue sample. 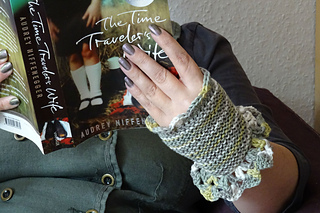 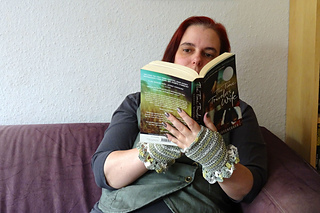 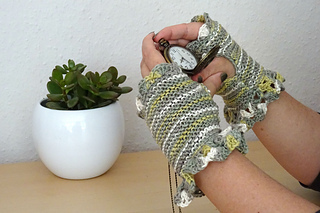 The mitts are knit flat, then the side seams are closed and the crochet edges are worked in the round. 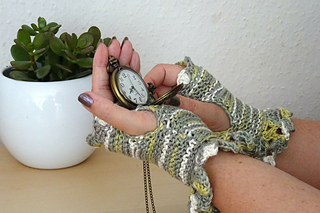 You close the seams with your crochet hook, so no real seaming is needed and you just have two ends to weave in per mitten.